To Infinity!………………… and far, Far, FAR beyond! One of the things that I love about music is that it is always moving. It is not a stationary art form. One note ceases and the next begins. One phrase is followed by another. Underlying chords are changing. 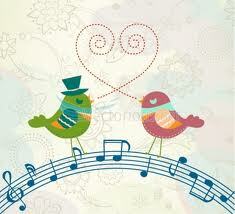 The melody pushes forward, embracing the mood of the piece and the message of the lyrics. A moment of dissonance gives way to a glorious major chord. There is dynamic contrast to provide the shading and shadow, as if an artist’s brush were painting a visual representation of the tune. Meter changes or modulations to a new key intrigue us with a surprise twist on the theme. 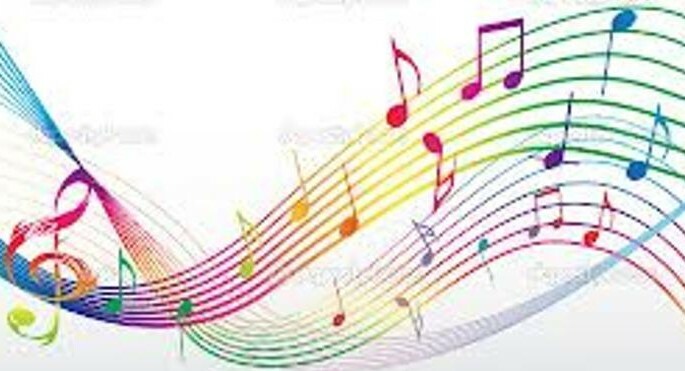 The intensity of melody, harmony, rhythm, dynamics, and interpretation move ahead to a glorious big ending or a more quiet and contemplative finish. When the movement of notes and patterns comes to a close, the music stops. A final note can only be sustained for so long, and yet the expression of love or joy or hope or longing that was contained in the music seems to linger, as though it is suspended in the air that surrounds us. 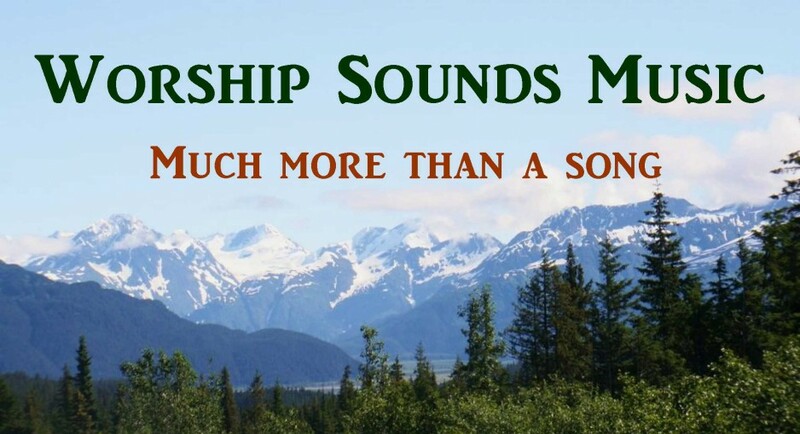 The experience of making the music or of sharing in it through listening has awakened something within us, and we often remember a certain song or concert or performance. Talented artists and sculptors can also create a sense of movement visually. In looking at a finished painting, we glimpse the clouds that are sailing across the sky, a breeze rustling the leaves of trees and foliage, an almost solemn expression betraying the smile that is a just a moment away, barely perceptible ripples in the surface of a tranquil pond, or a mother’s gentle, rocking motion as she soothes her child. The work of a sculptor is often a three dimensional study of a moment in time. 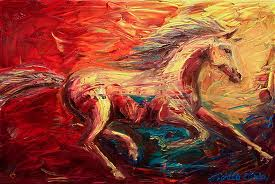 A horse’s flank reveals muscle in motion, and marble clothing drapes the sculpted human form in fluid movement. It goes without saying that there is movement in dance. Whether the dance is the refined and intricately choreographed poetry in motion that reveals the work of a true ballet master or a jubilant, impromptu celebration of good news, it is also the expression of our deepest longings. We desire to witness the power of human emotion and the experience of living as it is visually portrayed through movement. The beauty of love, the excitement of a dream come true, or the tragedy of loss are particularly touching when portrayed through the movements that we call dance. If the arts reveal the soul of mankind, then it becomes obvious that movement is very important to us. 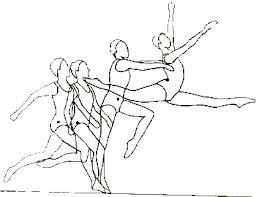 What is so appealing about movement? Movement is life. Movement is a constant for us. Even when we are lying completely still, our hearts are at work, beating in life-sustaining motion. Movement is healing for us. By working and exercising, doing things, and having fun, we strive to make our own lives better and to enrich the lives of those we love in some way. As human beings, we are always yearning for something more, for something better than what we know. Our longing to make things more convenient, more efficient, more comfortable, or more beautiful allows us to use our God-given intelligence and creativity to solve problems. Inventions and innovation result from our desire to somehow continue moving forward in our lives. Most of us are life-long learners, always seeking to know more and to use that knowledge in some positive way. Even though we acknowledge the truth with the phrase, “Nothing’s perfect”, we still long for more and keep striving. Our lives are a journey of discovery. As soon as we recognize a need for change or improvement, we begin to seek a solution and discover ways to make things better. Other than the obvious reasons for personal, relational, and environmental improvement, I believe that there is something else at work deep within each of us. God’s word has something to say about our longing for something more than what we experience in our day to day lives. Here, from the New Living Translation, is Ecclesiastes 3:11. Somehow, our hearts know that we were made for more than a brief span of time in a beautiful and majestic and yet imperfect world. As we look at the symmetry and amazing creativity of God’s creation, we know that perfect beauty and harmony can exist. The astounding complexity of the tiniest creature and the fragile and ferocious balance of nature testify to the supernatural intelligence of our infinitely caring Creator. He has placed a longing for more within our hearts. It is a longing that can only be filled within the context of relationship with Him and ultimately in reaching our eternal dwelling place with Him in Heaven. 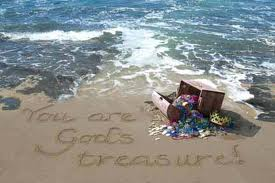 “Your life is safe in the care of the Lord your God, secure in his treasure pouch.” 1 Samuel 25:29 (New Living Translation). All of our movements, our work, our striving, our creative expression, and our efforts toward life management and self-improvement can never be enough to erase the longing for more. 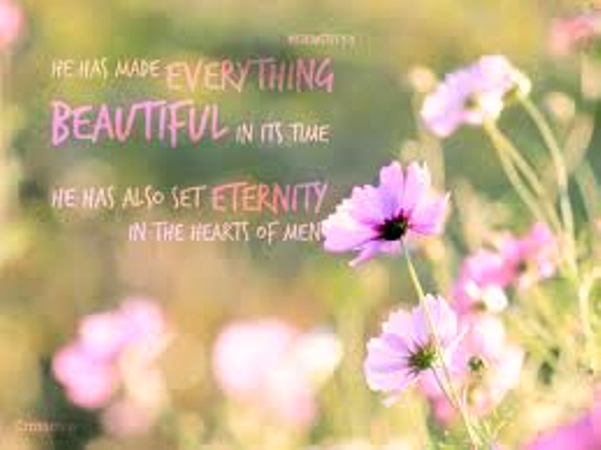 God has set eternity within our hearts. The universal longings of the human heart and soul can all be fully met only in Him. The longing to love and be loved, fully and perfectly. The longing to live in an environmnet of perfect serenity and peace. The longing to live forever. The longing to live in a place where there is no heartache and no pain. The longing to have a dwelling place that is uniquely designed to meet all of our needs perfectly. The longing to know and understand things that seem difficult and beyond understanding. The longing to find delight and joy in living that goes beyond our wildest dreams. We cannot find true and perfect fulfillment of all of these longings in this earthly life, but for those who have trusted Jesus Christ as their Lord and Savior, who love God, and who have surrendered their own desires and longings for something better, there is a promise of the life to come. It is a promise that we cannot fully grasp because we don’t know all of the facts. It is impossible for us to completely understand the fulfillment of God’s promise, because we have no basis for comparison. His answer to the longings of our hearts and souls goes beyond anything we have ever experienced. Our eyes have never seen anything like it. Our ears have never heard anything like it. Our minds have never thought of anything so wondrous, even in our most extravagant dreams. I can’t wait to see, to hear, to experience, and to know! As I am now, I am unfit for Heaven. My mind is too easily distracted from things of eternal importance to the mundane tasks of every day and even the earthly interests that draw me away. I would not be able to fully enjoy Heaven without a change. Although the process of change began many years ago when I said “Yes!” to Jesus, there is much change that still needs to take place in my life and heart. I cannot live in a Holy place as I am now. My presence would render it unholy. However, I will not stay in my current state. God’s promises assure me that He will continue to refine my soul and my life while I am here on earth, moving me forward in my journey toward Christlikeness. 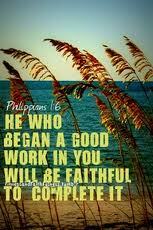 In Phillipians 2:13, I find His promise for the here and now. This is God at work. I am not alone in this journey. 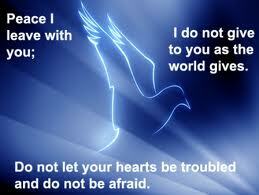 God himself continues His creative work as He creates a clean heart and a right spirit within me. I cannot achieve holiness on my own, but when I have Christ within me, I have the hope of glory. And on that day, what will Heaven be like? What will eternity with God be like? Although we can learn what the Bible reveals about heaven, there is much that we will not know until we arrive. We do know that we have never seen anything like what we will see. We have never heard anything like what we will hear. And, we could never imagine anything so incredible if we dreamed and thought about Heaven every day for the rest of our lives. It will be that different, that wonderful, and that extraordinary. There are no words in our language that could adequately describe what we will experience, because it will be so far, far beyond anything we’ve ever known. Yes, we will have eternity. We will have forever. We will have an infinite amount of time, a never-ending life. But, we will have so much more than just time! The idea of living on is certainly appealing to us, but the time itself is only a part of the gift of God’s mercy that will alllow us to experience what He has prepared for us. In this passage, Jesus was talking about prayer. His point was that we should not be afraid to ask God for anything, knowing that He is good and that He wants to demonstrate His love and caring to His children. Even though I have not written about prayer in this post; and even though we have been considering the unknown of what God has prepared in Heaven for those who love him rather than His desire to bless us while on earth, the Bible tells us that our God is the same, yesterday, today, and forever! If His desire was and is and always will be to bless us and demonstrate His love for us in this earthly life and in the life to come, we cannot begin to fathom what that means for eternity. He is preparing a place for us. With thought, and care, and love, and every resource at His disposal, the God of Creation and of all Eternity, the Savior of Mankind, is preparing a place for us. Sometimes in this earthly life, we get carried away with our expectations for an event or a surprise, and then the actual event or gift is a bit of a let-down in comparison to our over-active imagination. In Heaven, it would be impossible to be disappointed with what God will have prepared for us. He knows us better than we know ourselves. He has been creating and preparing and longing for the day when we will finally know Him even as we are known. We cannot begin to imagine the wonder, the beauty, the joy, the love, the peace, the comfort, the surprise, the caring, and the paradise that awaits us. 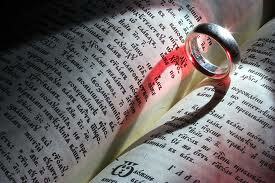 It is as though a bridegroom has secretly built an extravagant and wonderful home for his bride. After their wedding, she sees it for the first time. It is wonderful beyond her wildest dreams. In every detail, she sees the love that the bridegroom has poured into this lavish and unexpected gift. The thoughtfulness and caring, the knowledge of what she would love, and the obvious truth that no effort or expense has been spared overwhelm the bride with the goodness of the heart of her beloved. Dear ones, you who love the Lord, we are the beloved ones ! Infinitely more than we have loved, we have been loved. We are God’s beloved. We are the bride of Christ. He has given everything for us! He has invested himself in the gift of His creation, sustaining it in ways that we cannot begin to fathom. He has provided us with a Savior, personally coming to earth in the form of a human child who was also fully divine. He has given Himself in caring for us, loving us, comforting us, drawing us to Himself, and helping us to mature in Christ, answering the prayers we prayed in his infinite wisdom and even the prayers that we didn’t know how to pray. And finally, He has given Himself to us fully in His preparation for eternity and in His Presence with us for all of eternity. Your “mansion” will be your smallest gift, not your largest. That’s just one that we happen to know about. What about the surprises that are beyond our imagination? I can’t even write about what He has prepared, because it is infinitely more than my mind can understand and infinitely beyond what my words could ever convey. This is the one thing that I do know: His Presence and our full knowledge of the depth of His love will be our most treasured gifts for all of eternity. So, meanwhile, here we are in our human bodies with our love of life and movement and fun and joy and song and people. We are using our earthly eyes to try to see as we read or write these words. We are using our finite minds to understand as we try to grasp the meaning of all of this. We are living, loving, crying, giving, hurting, sharing, wondering, knowing, and striving. At various times we are joyful, sad, elated, depressed, celebrating, devastated, confused, happy, bitter, or hopeful. We are experiencing this world with all of it’s ups and downs. And yet, somehow, we know there is more. We try various ways to move toward what we think may be better. Those of us who know the Lord have the answer; but we don’t always walk in it, and we don’t share it with others as we should. 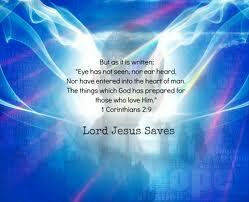 What if we knew all that God is preparing for those who love Him even while we were still living the earthly life? Then, would we be more eager to share the best news that mankind has ever been given? I ask myself this question: Why isn’t His promise enough? Why do I have to know what is inside all of the gifts of eternity if I know the Giver? If I know that He is infinitely more and that His love is infinitely beyond, why would I even hesitate to share such incredible news? Why would anyone? My little boy, Logan, loves Buzz Lightyear from the Toy Story movies. The favorite Buzz phrase for every fan is “To infinity…and beyond!” The first time that we heard it, many of us adults may have had an inward chuckle, thinking of the redundancy of this phrase. How would Buzz know that he’s saying the same thing twice? He’s just a toy. 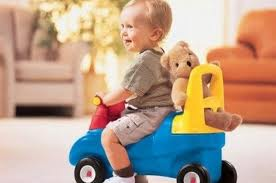 We smile, and we enjoy our young ones as they imagine something beyond what their little minds have experienced thus far and sum up all of that unknown stuff that is out there somewhere using their hero’s ‘buzz word’ (pun intended). 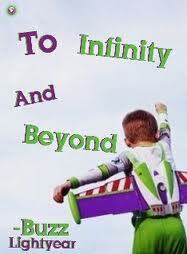 “To infinity and beyond!” shout the little voices, ready to go wherever that is and do whatever there is to do there. We smile and think about the fact that he or she doesn’t even know what the word infinity means. Our minds expand on that fact. How could you keep going on forever and then go on beyond forever to a place that is beyond the beyond? We chuckle again. Animated movies…plastic toys…big imaginations! They’ll learn soon enough what is real, we think. Romans 8:35 “Who will separate us from the love of Christ? Will tribulation, or distress, or persecution, or famine, or nakedness, or peril, or sword? 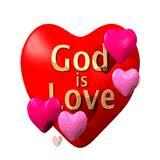 God loves you, my friend! To infinity, and far, far beyond…. You may have experienced the loss of a loved one. 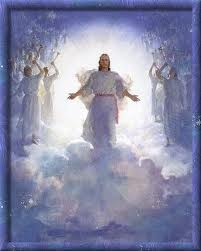 We hope that these thoughts and scriptures about Heaven will be helpful to you. 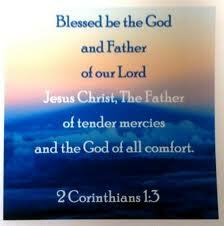 Here are some additional scriptures of comfort. 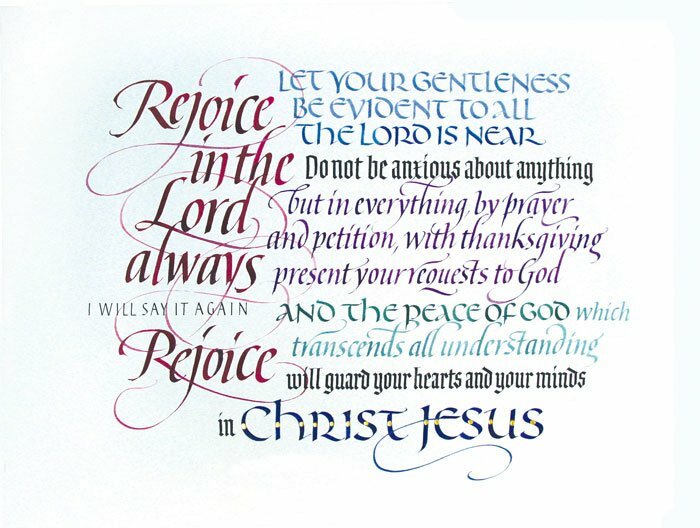 Years ago, Travis and I went to a Christian concert, and one of the artists was talking about a friend who had what the Doctors called “terminal cancer.” This man had a joyful attitude because he believed that the two possible scenarios for his future were to either (a) be miraculously healed or (b) be with the Lord. He held onto the Lord and held on to hope! Every person has a unique time to be born and a time to die. For those left behind on earth, there is deep sorrow and mourning. Grief is a process that all must someday endure. It means that we have loved deeply. But, remember the words of the previous post. Even beyond the depth of our love, God’s love is deeper still… infinitely deeper. He loves you, and He loves your loved ones. Below, you will find some scriptures to bring comfort even in the pain of loss. TRUST GOD TO HAVE THE BEST INTERESTS OF YOU AND YOUR LOVED ONES WRITTEN ON HIS HEART! Here are some scripture verses that offer comfort and hope. © Copyright 2003-2012 Justin Agoglia. All Rights Reserved. For those who love and mourn through valleys of deepest sorrow…love and prayers to you. We have another post about how much God loves you. It is: You Are Greatly Loved!